The end of the year means celebrations! Welcoming friends into your home for a gathering can be worry-free with some advance preparation. In the latest Visit Granbury blog post, Diane Hedges from D’Vine Wine gives us some tips on hosting a wine tasting party. The holidays are almost upon us. It is time to start thinking about parties and get-togethers. This year why not host a wine tasting party? With just a little planning you can host the hit of the season. There are several approaches to use. So let’s look at the possibilities and see which one works best for you. This is the easiest because you ask each guest to bring their favorite wine and a dish to pair with it. If you have a large group, this is a good idea. You can just allow people to bring whatever they want, or you can suggest only appetizers (like a tapas dinner). When your guests arrive, you can group like dishes together with the accompanying wine. Provide a way for your guests to label their dish and describe the wine. For example, you can use a simple card and pen to write and set next to each dish and wine. You can also have guests bring their printed recipes to share. The recipes can either be printed on small cards for other guests to pick up, or you can compile them all together in a book that can be given to all that attend. Don’t forget to have plates, napkins, and wine glasses for serving, as well as nonalcoholic drink choices. If you want your guests to just come and enjoy the party without bringing anything, then we have another option for you. Simple is always good, and making the event more about the wine than the food is both easy and fun. Place wine bottles beside the items that pair well. Kraft paper or blackboard paper can be used as a tablecloth. You can write what the item is, or a description of the wine directly on the paper. When the party if over, you just roll up the paper and throw it away! Clean up is easy. I always like to end the event with something sweet. A sweet wine goes best with dessert. Even chocolates, such as truffles, work very well with wine. To make a great impression, we like to either start or end the event with something sparkling like our Almond Sparkling wine. Prepare as much in advance as possible. Have different types of wine glasses for guests, and provide tags or charms to help them keep up with their glasses. Chill white and sweet wine ahead of time. 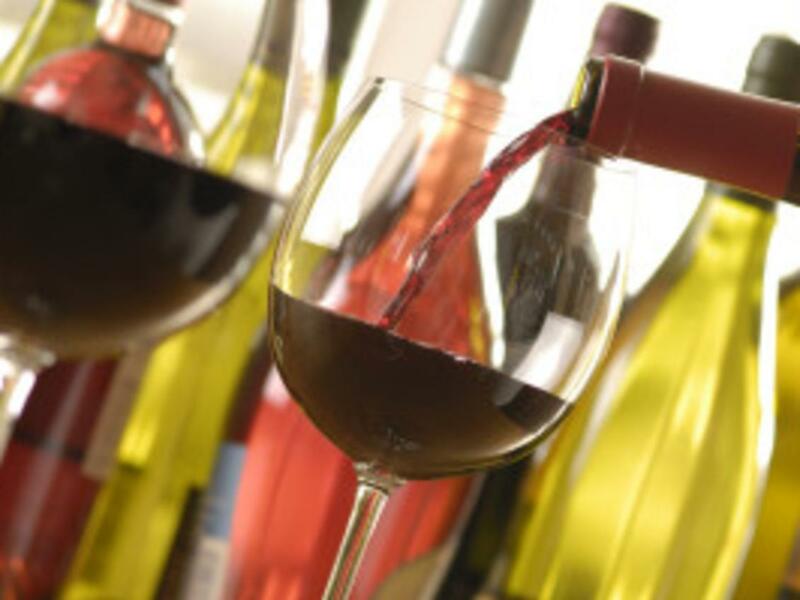 Appoint someone to help you refill plates and open wine bottles throughout the evening. You can use disposable wine glasses or purchase inexpensive glass wine glasses at a discount store so you have enough glasses, and do not have to worry about breakage. Smaller glasses work better if you are not pouring for your guests, as this reduces over serving. Don’t forget some holiday music for setting the perfect mood! Downtown Granbury Square has several retail shops that can assist you in your party preparations whether it is with wine or not. 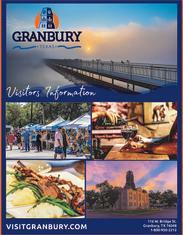 Visit our website at: www.visitgranbury.com or www.granburysquare.com .